Visible up to a distance of 30m. Approx. 37mm long and 4.5mm in diameter. 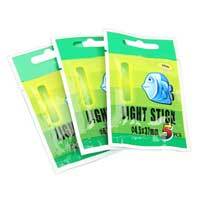 Each packet contains 2 Firefly Glow Sticks measuring 4.5mm in diameter and 39mm long. Green in colour.